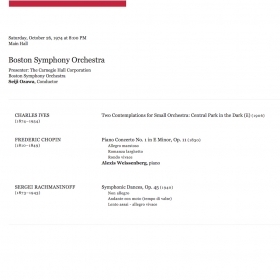 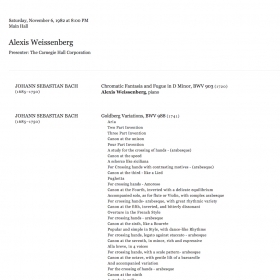 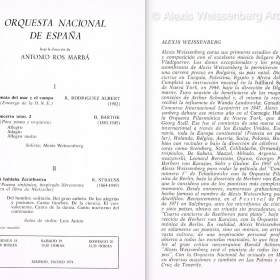 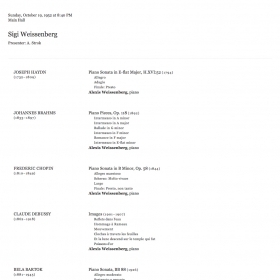 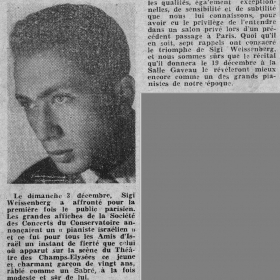 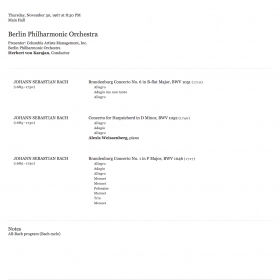 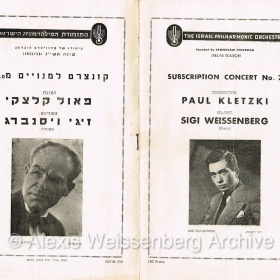 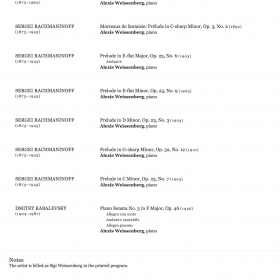 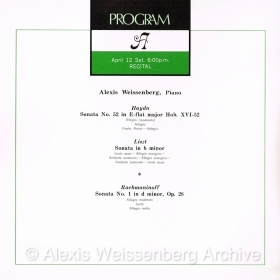 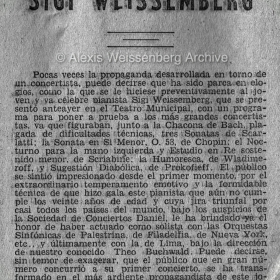 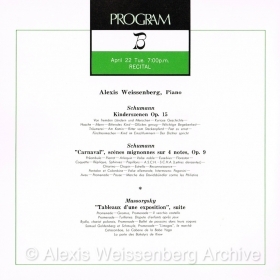 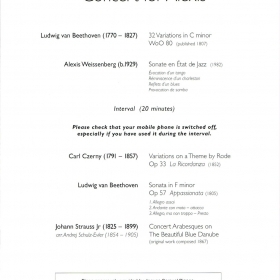 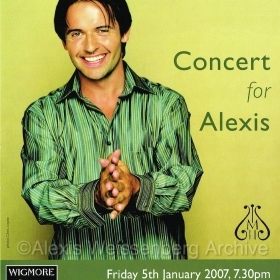 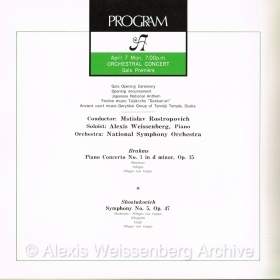 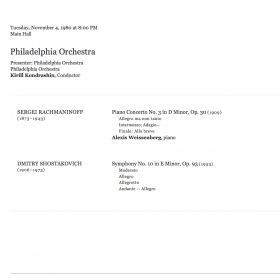 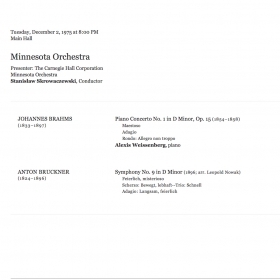 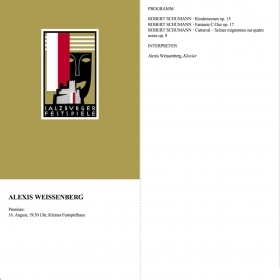 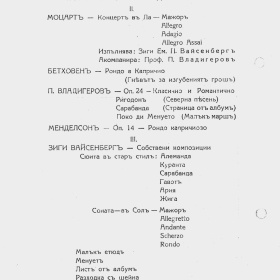 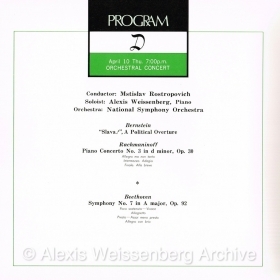 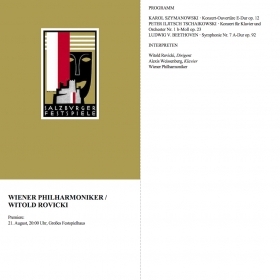 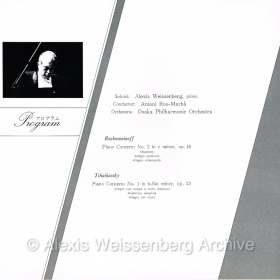 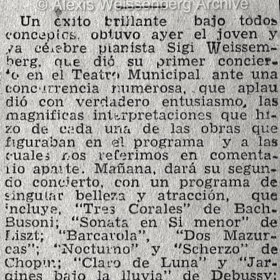 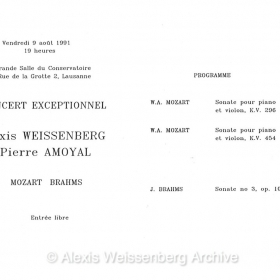 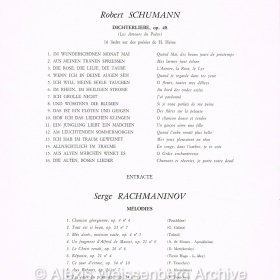 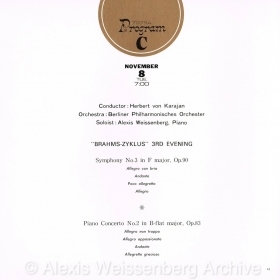 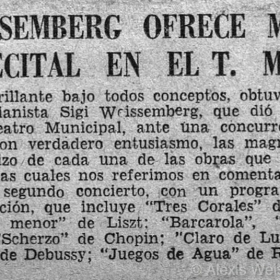 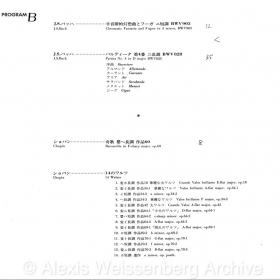 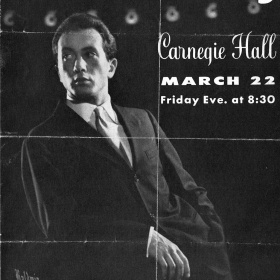 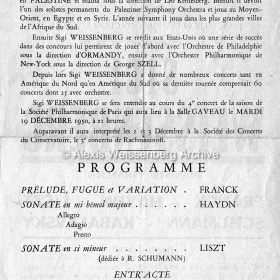 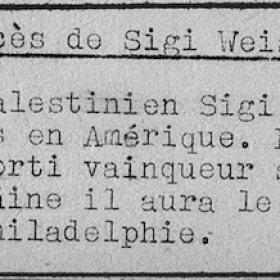 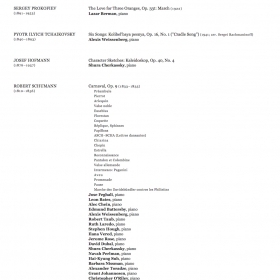 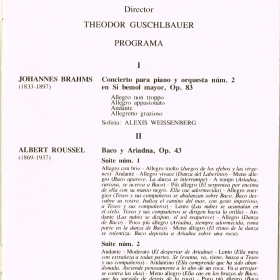 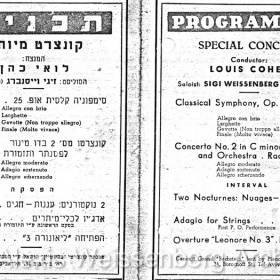 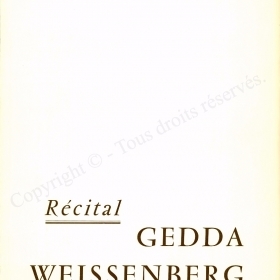 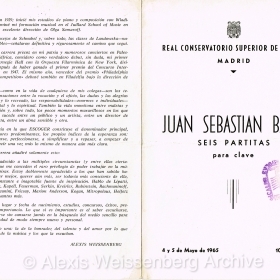 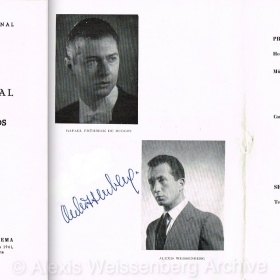 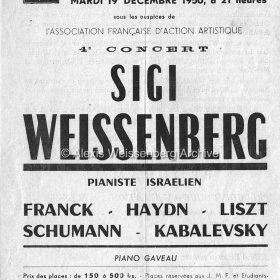 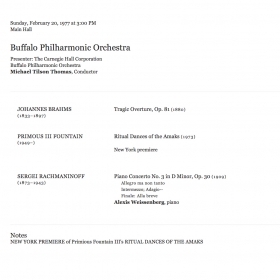 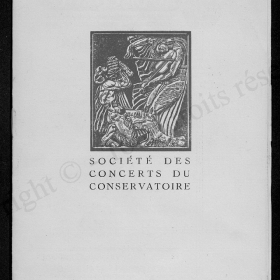 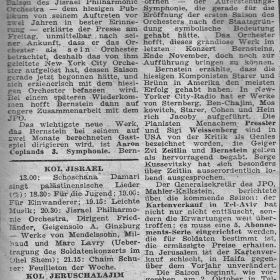 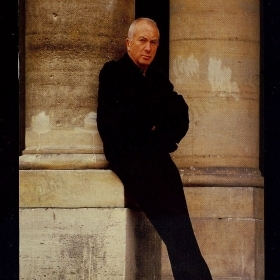 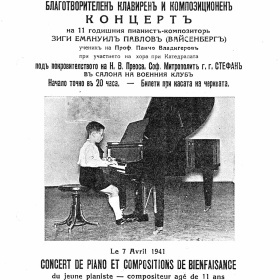 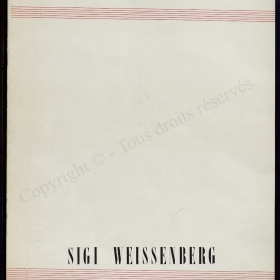 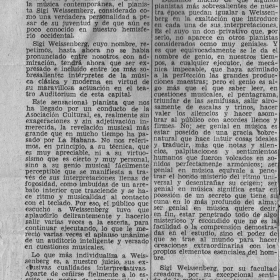 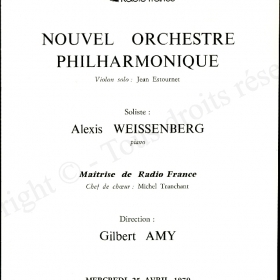 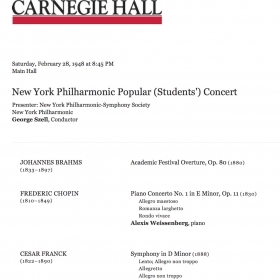 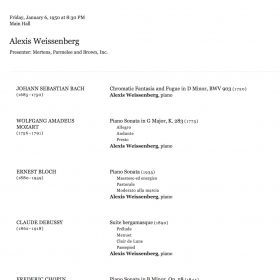 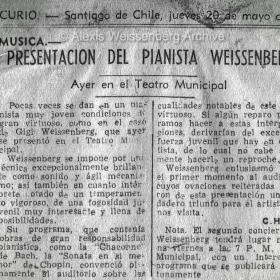 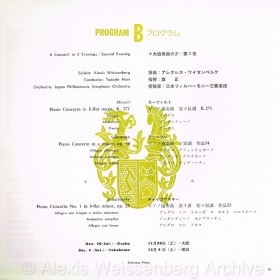 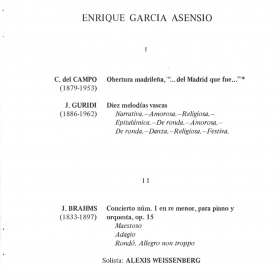 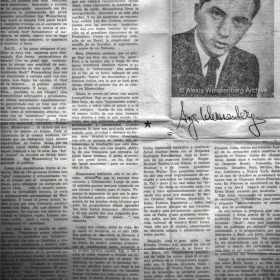 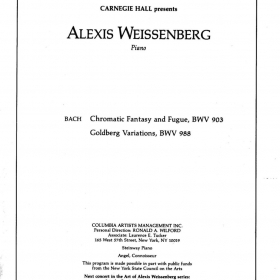 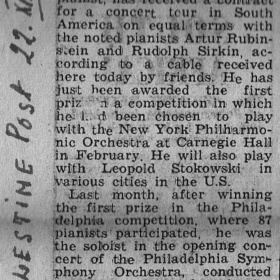 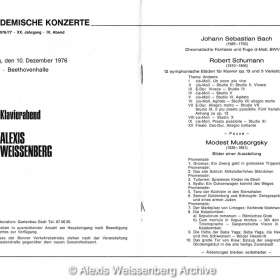 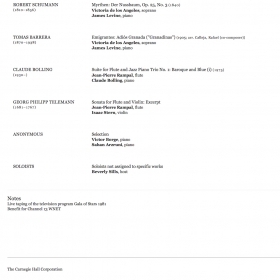 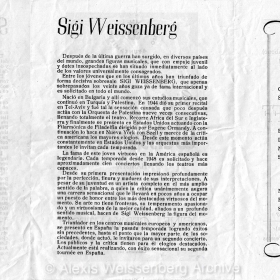 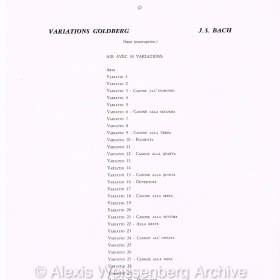 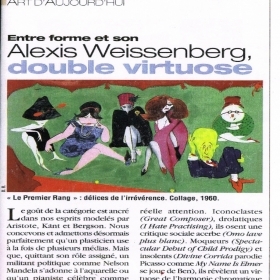 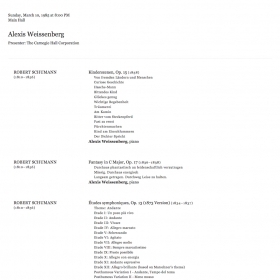 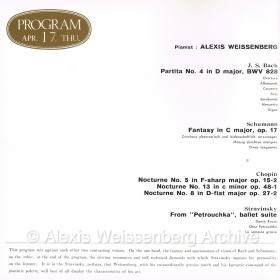 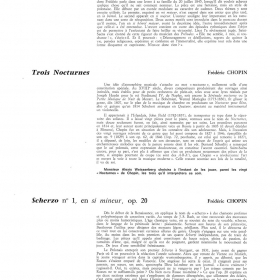 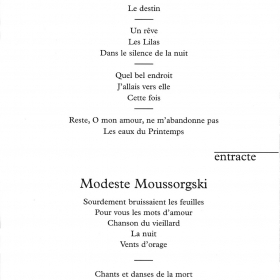 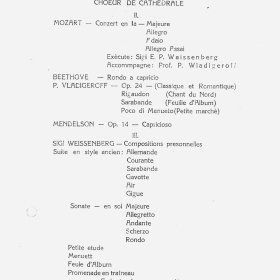 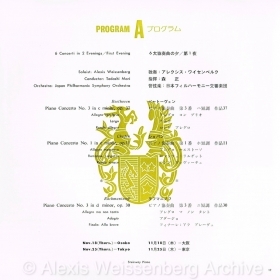 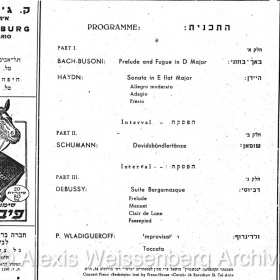 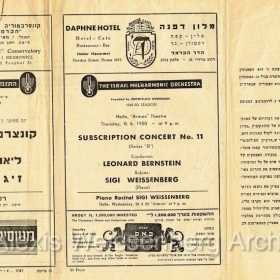 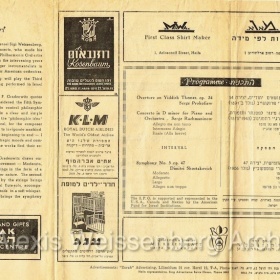 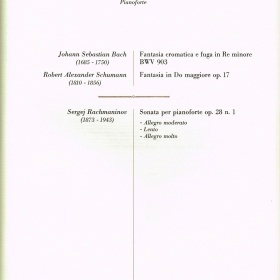 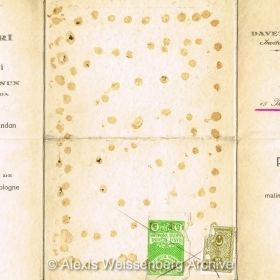 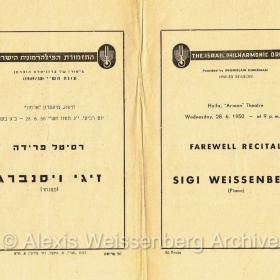 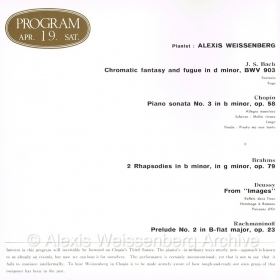 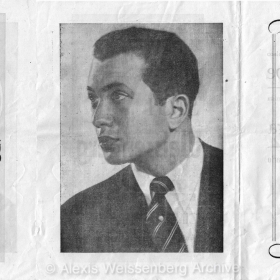 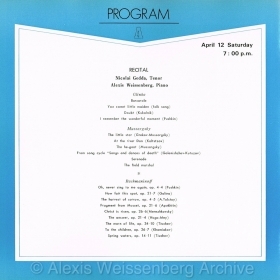 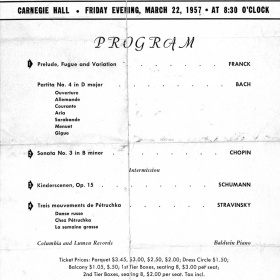 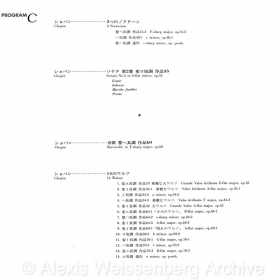 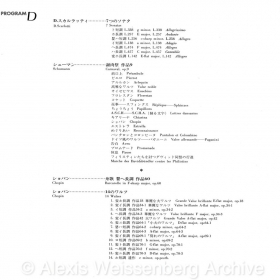 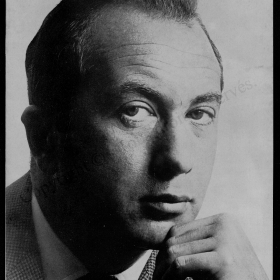 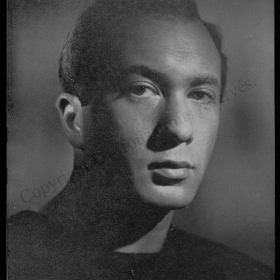 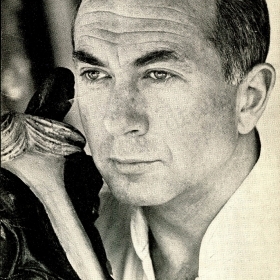 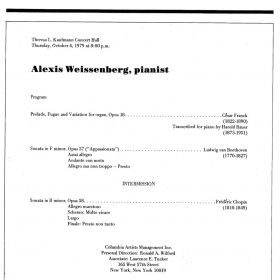 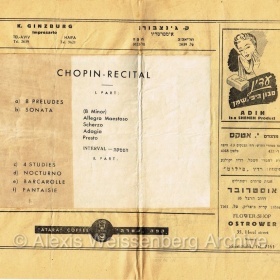 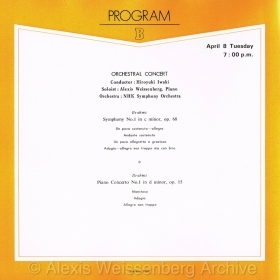 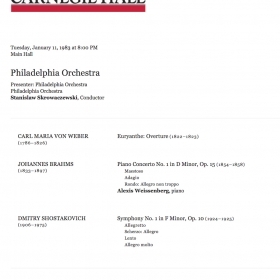 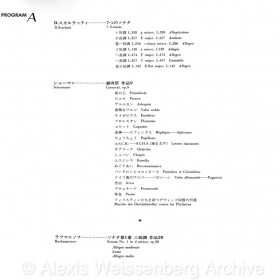 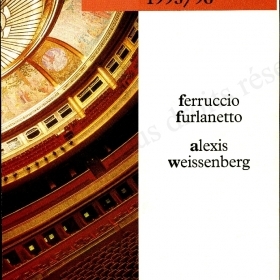 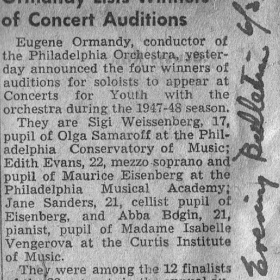 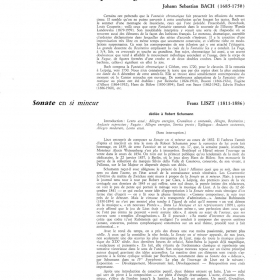 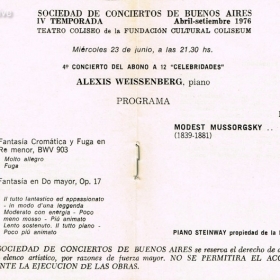 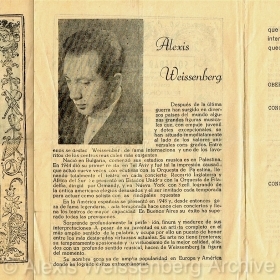 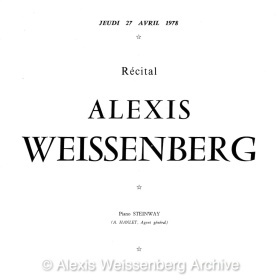 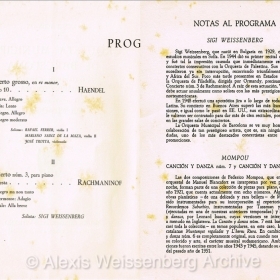 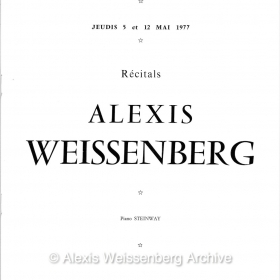 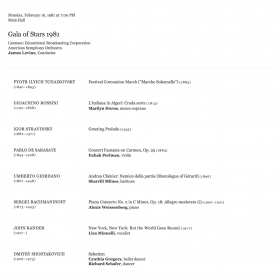 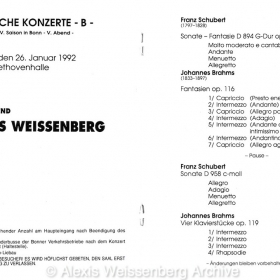 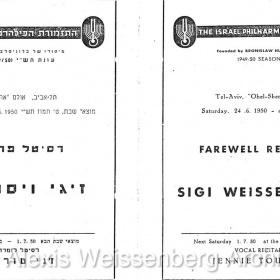 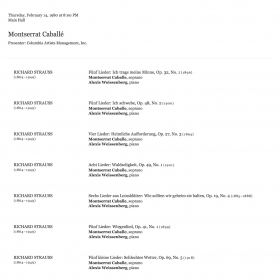 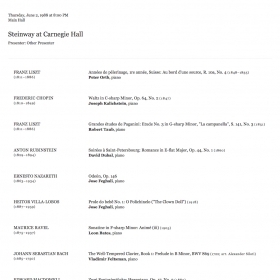 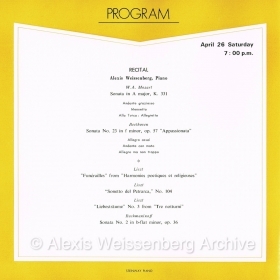 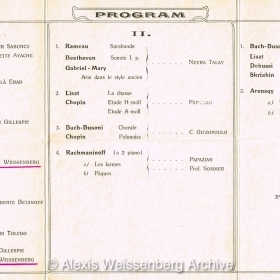 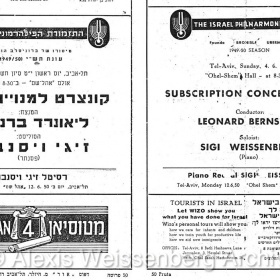 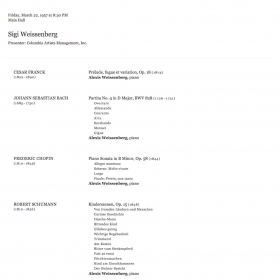 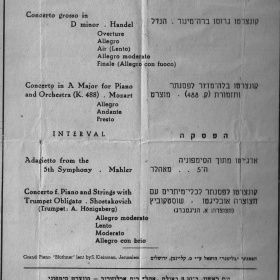 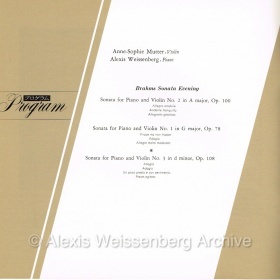 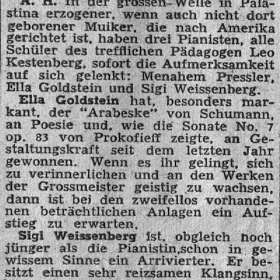 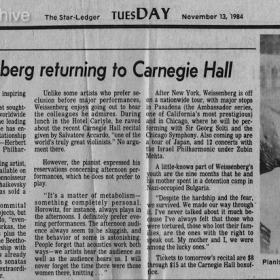 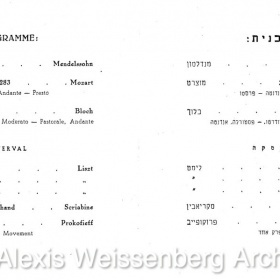 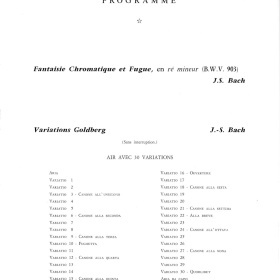 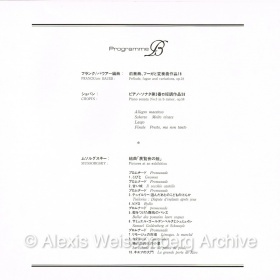 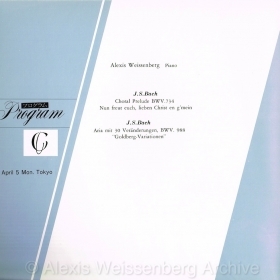 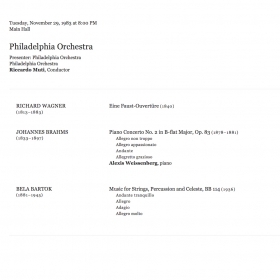 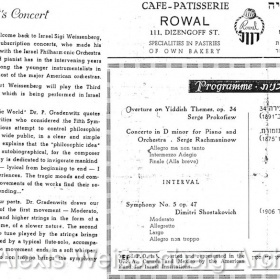 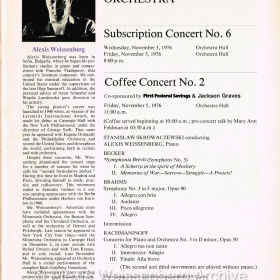 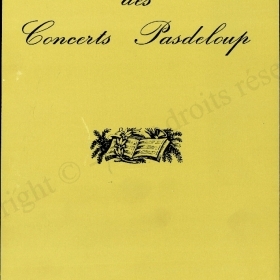 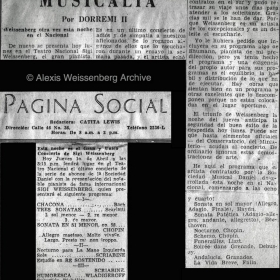 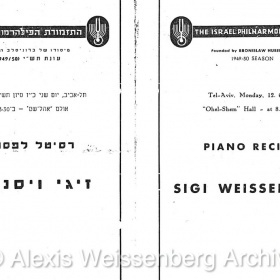 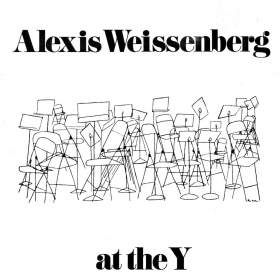 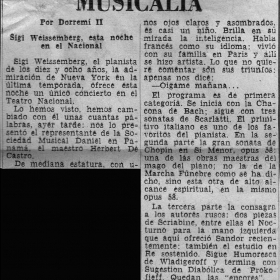 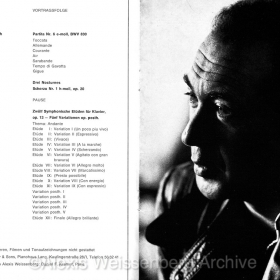 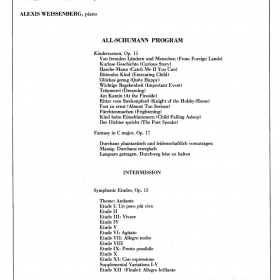 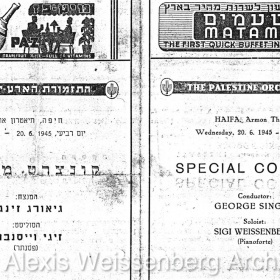 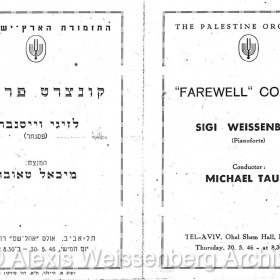 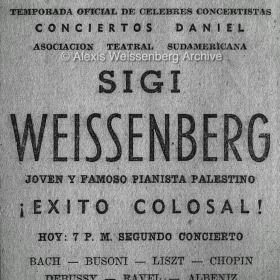 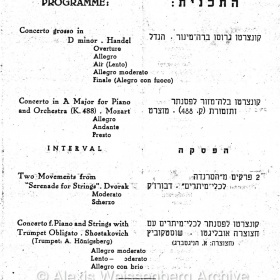 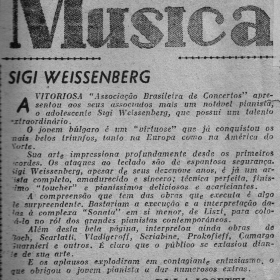 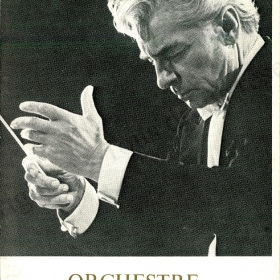 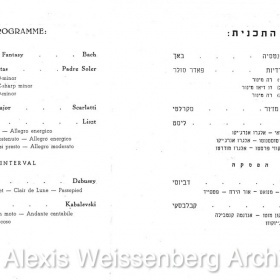 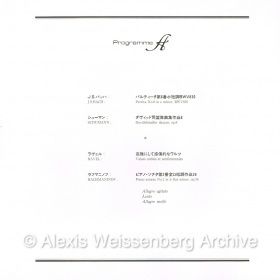 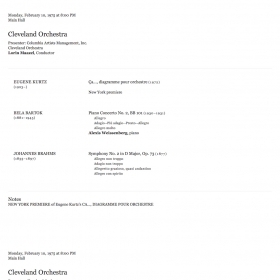 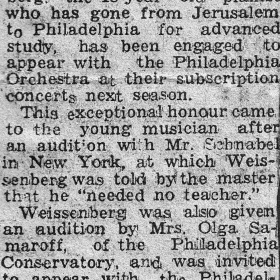 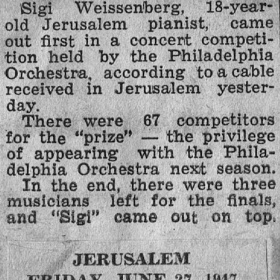 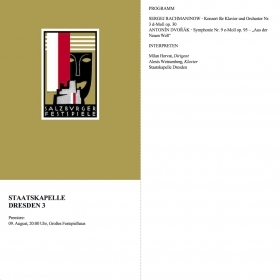 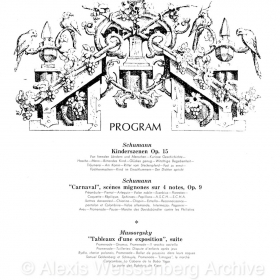 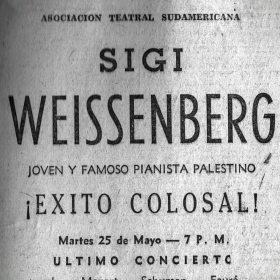 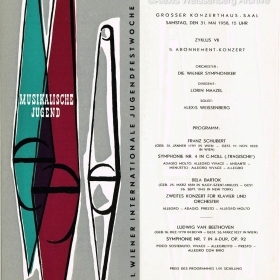 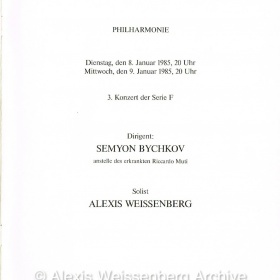 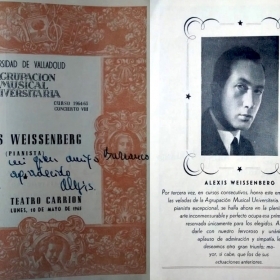 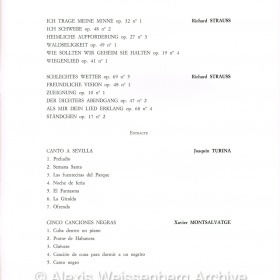 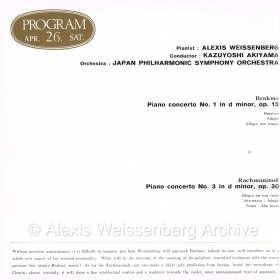 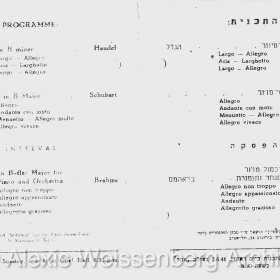 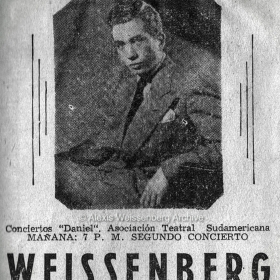 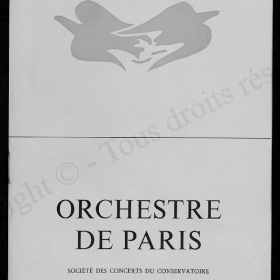 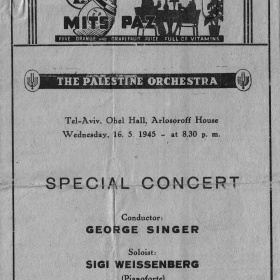 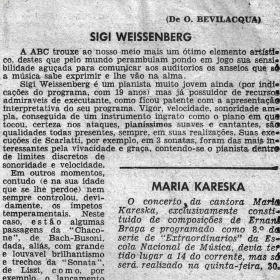 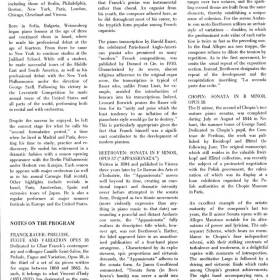 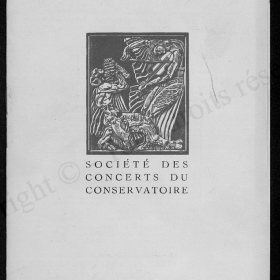 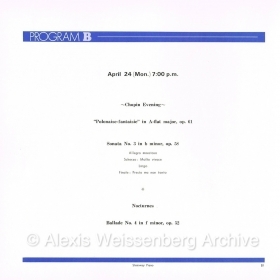 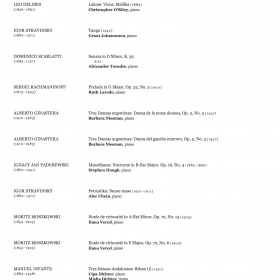 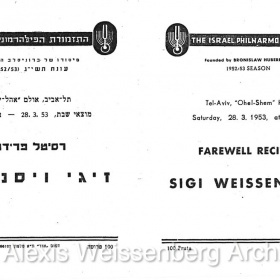 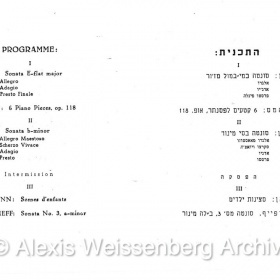 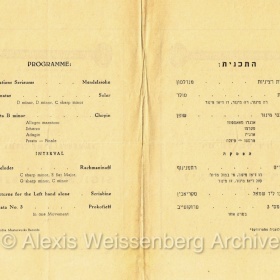 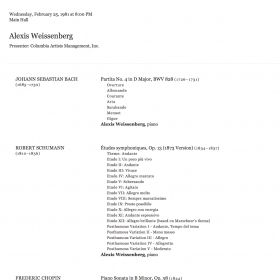 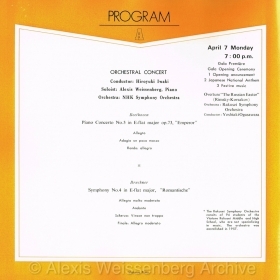 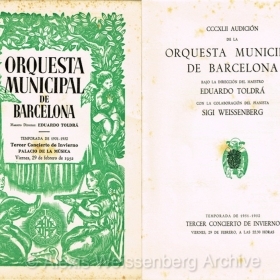 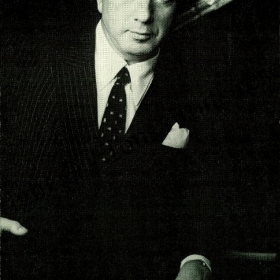 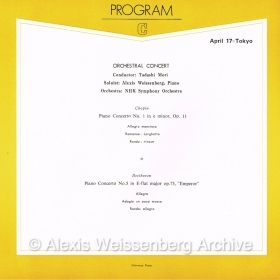 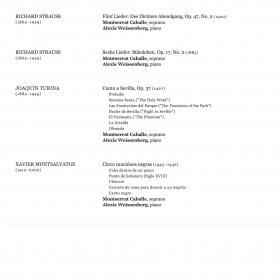 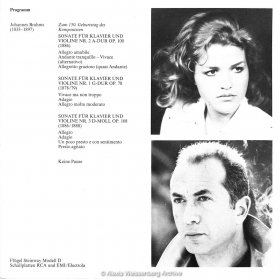 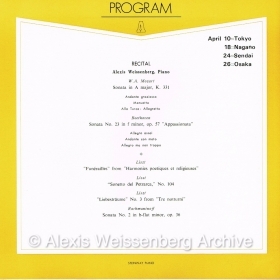 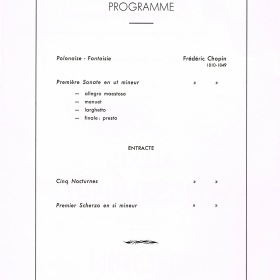 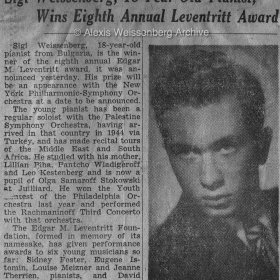 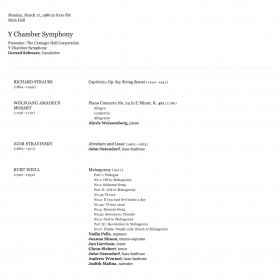 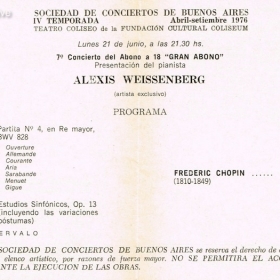 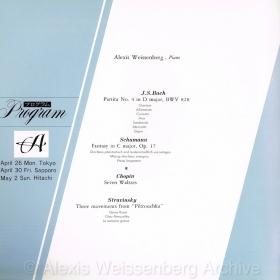 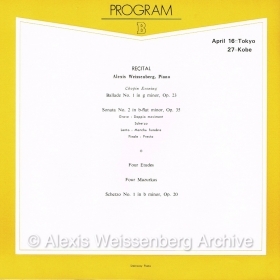 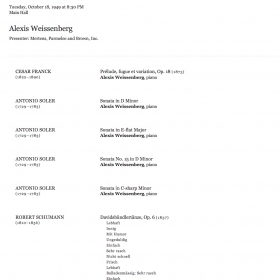 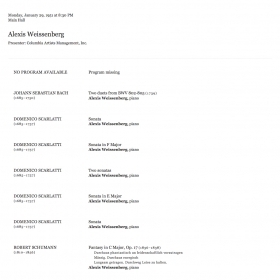 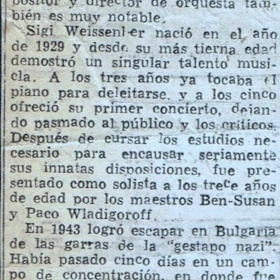 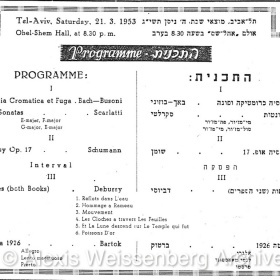 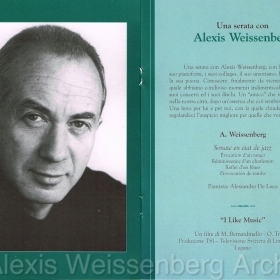 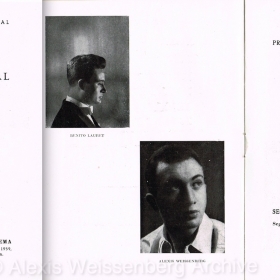 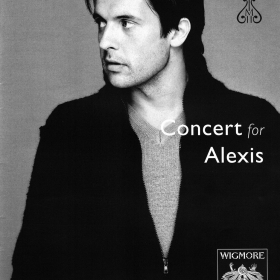 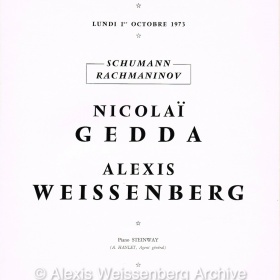 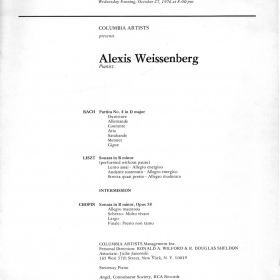 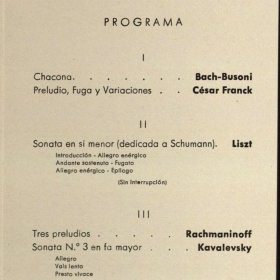 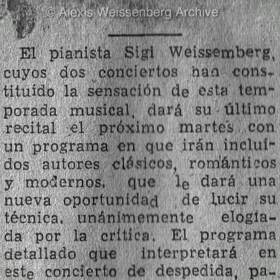 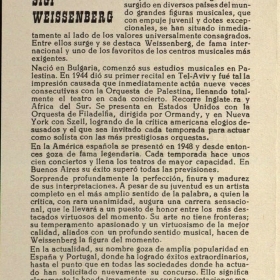 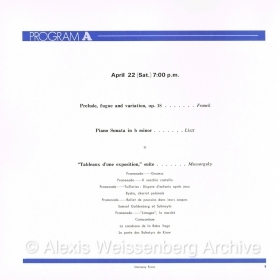 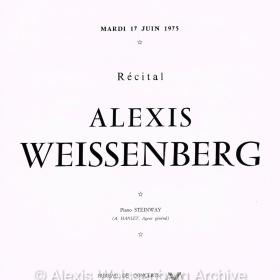 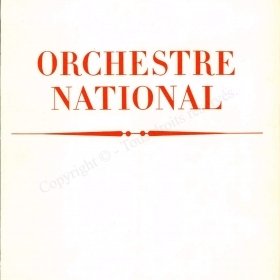 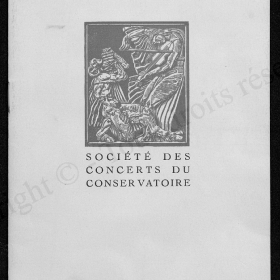 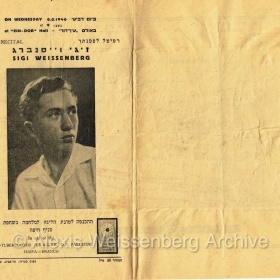 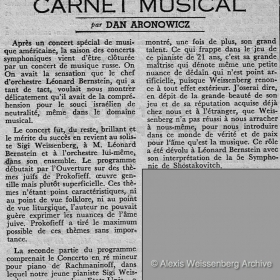 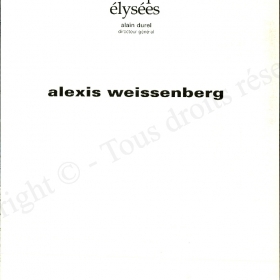 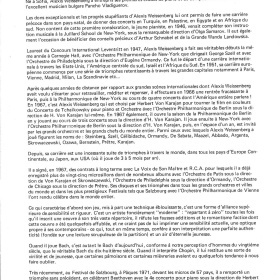 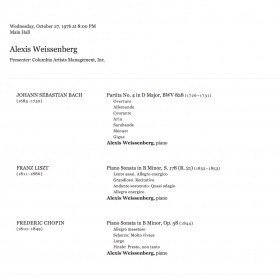 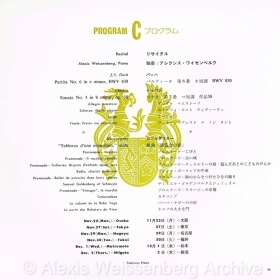 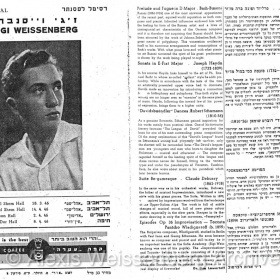 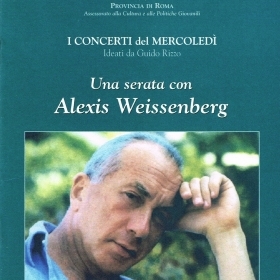 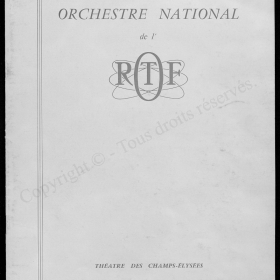 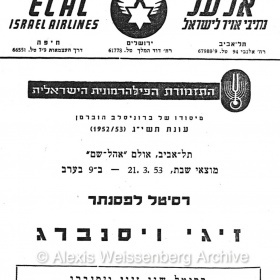 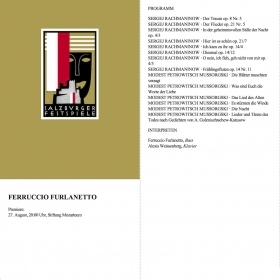 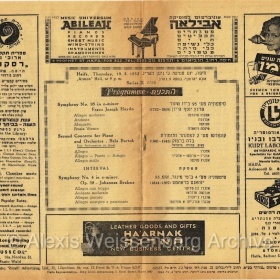 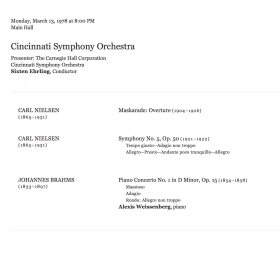 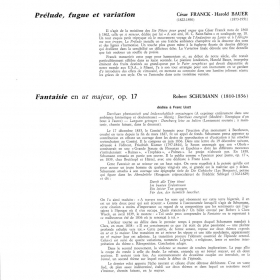 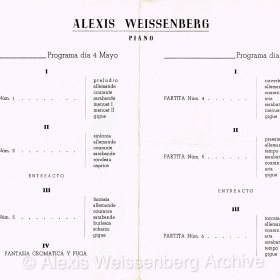 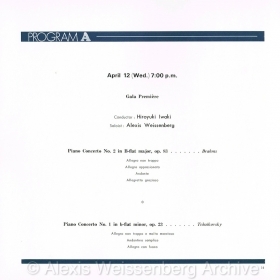 This series of programmes of concerts and recitals given by Alexis Weissenberg are part of his Archive. 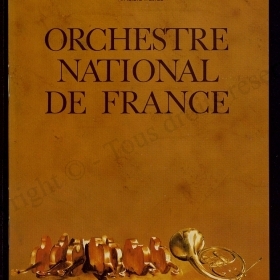 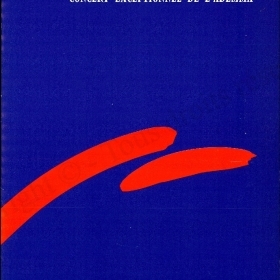 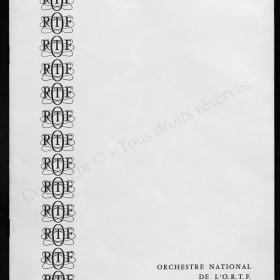 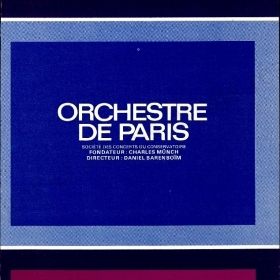 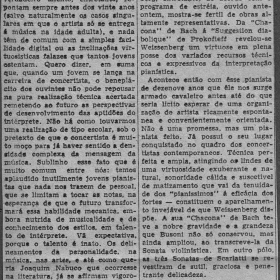 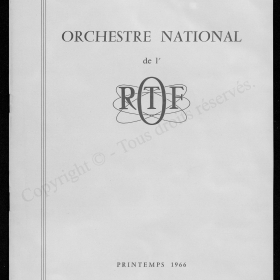 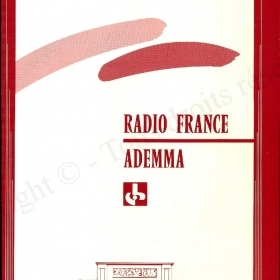 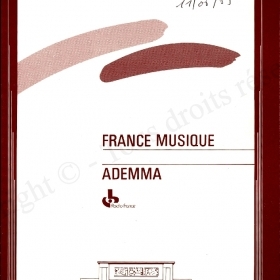 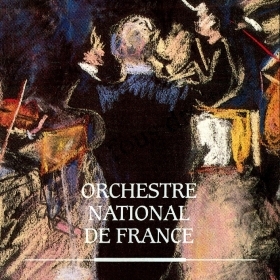 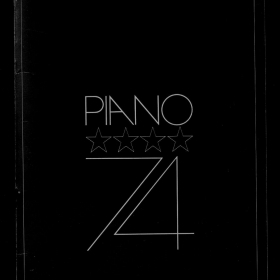 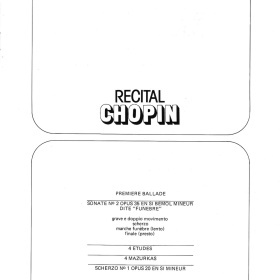 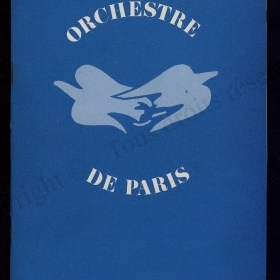 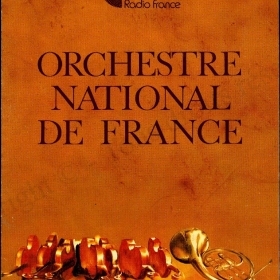 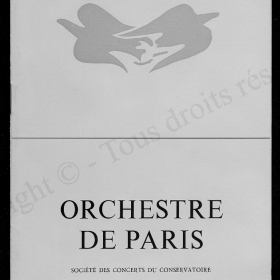 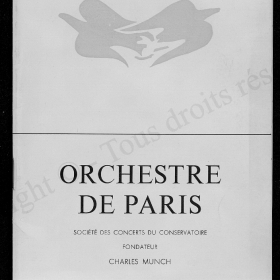 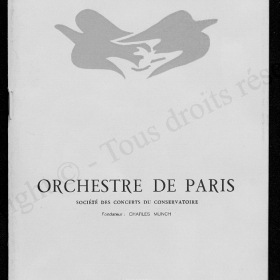 They might be interesting for pianists wishing to know more about the delicate and crucial art of designing a programme. 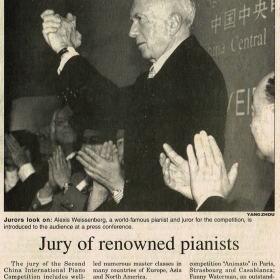 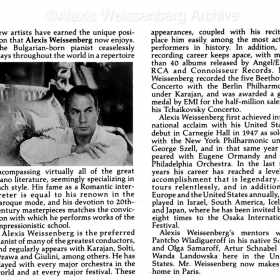 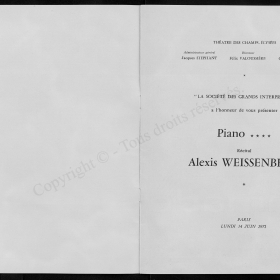 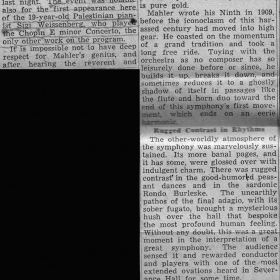 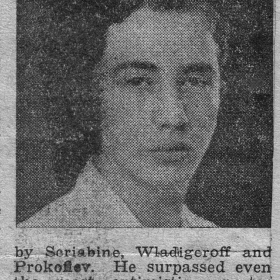 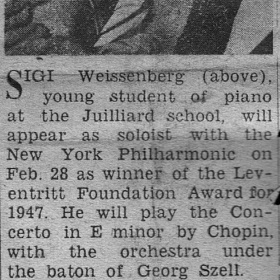 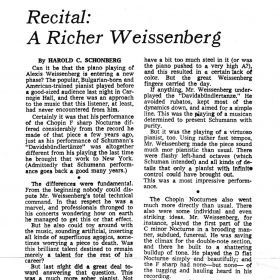 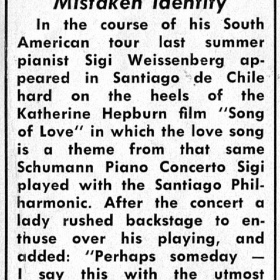 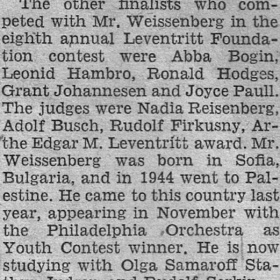 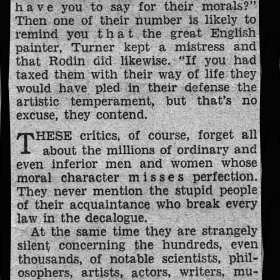 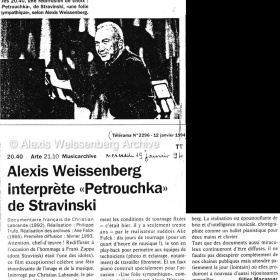 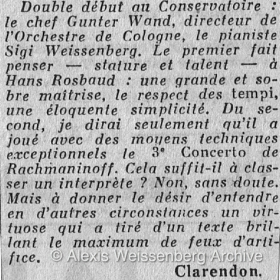 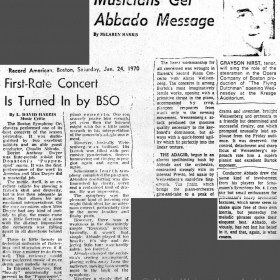 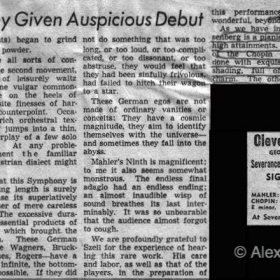 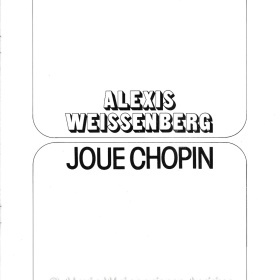 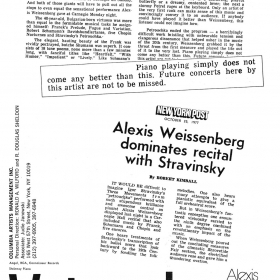 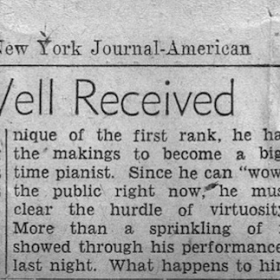 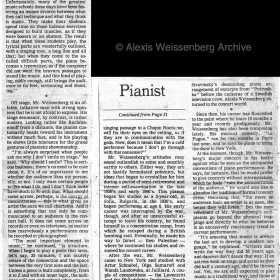 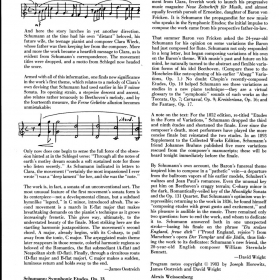 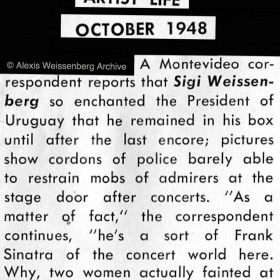 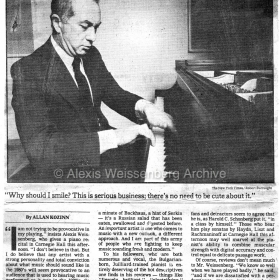 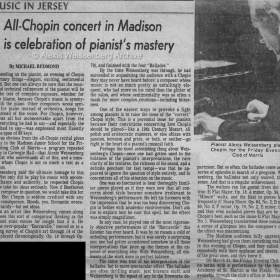 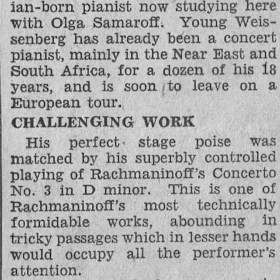 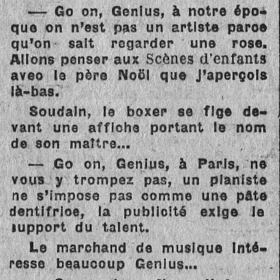 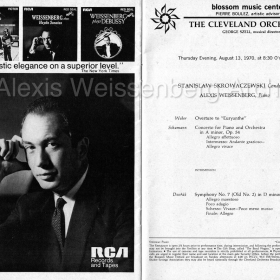 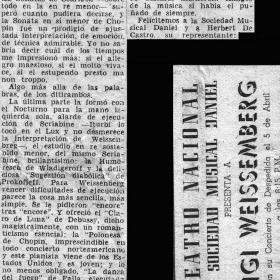 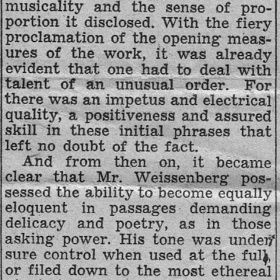 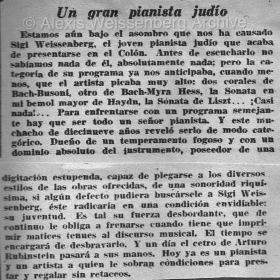 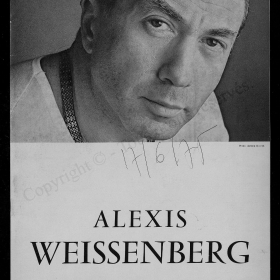 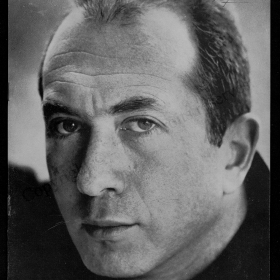 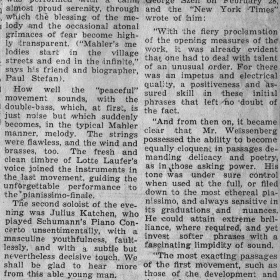 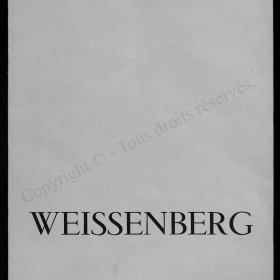 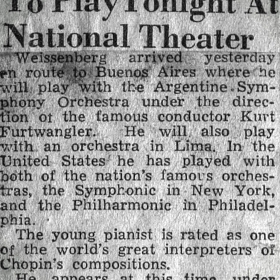 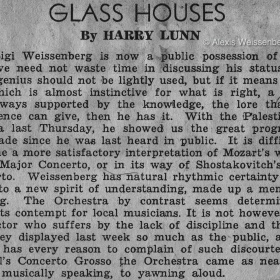 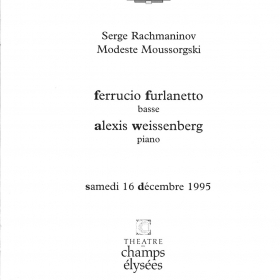 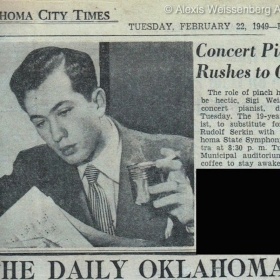 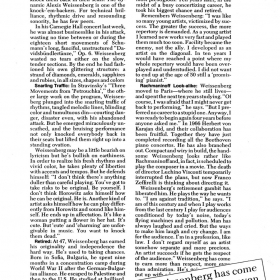 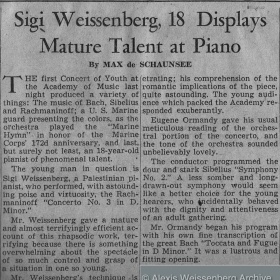 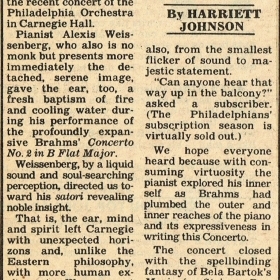 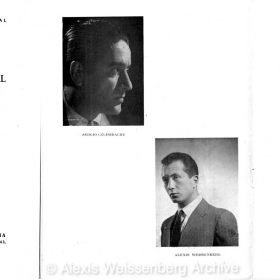 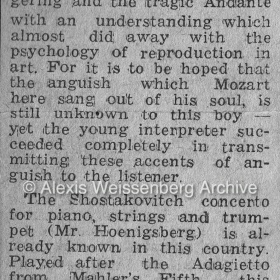 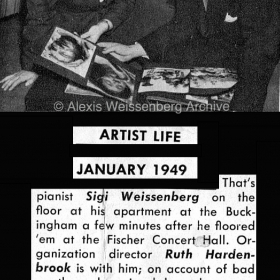 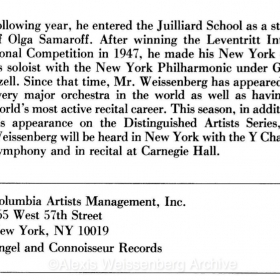 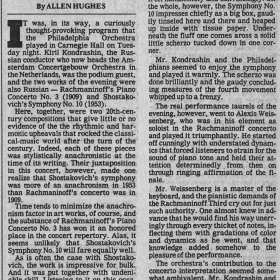 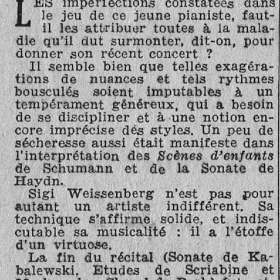 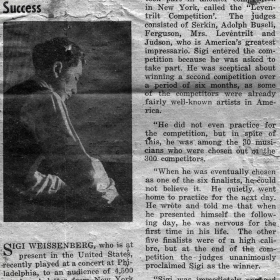 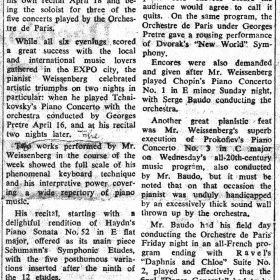 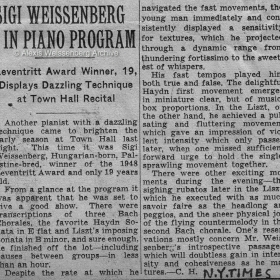 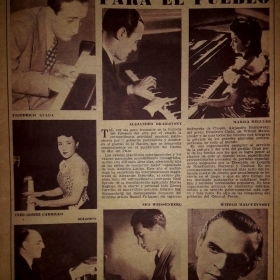 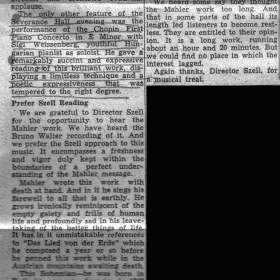 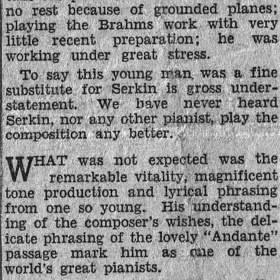 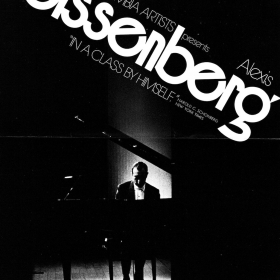 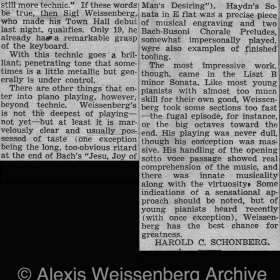 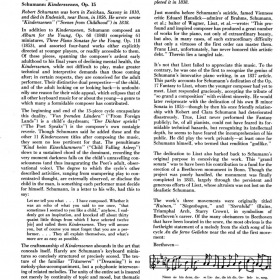 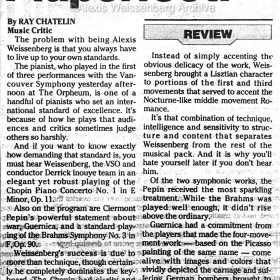 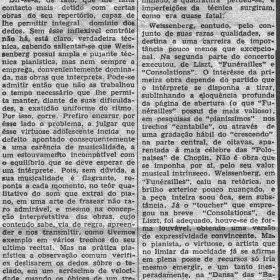 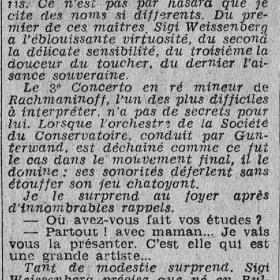 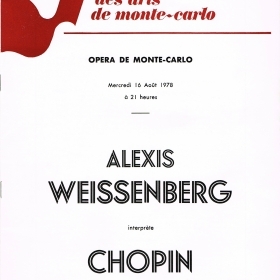 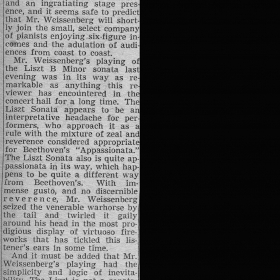 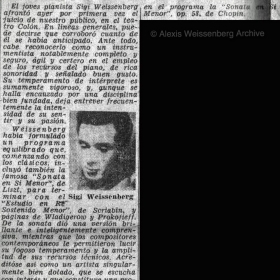 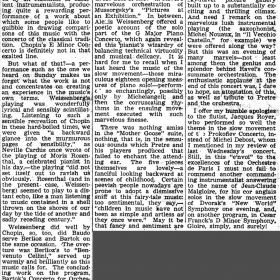 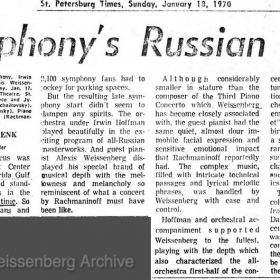 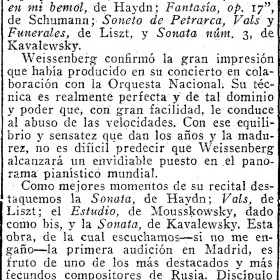 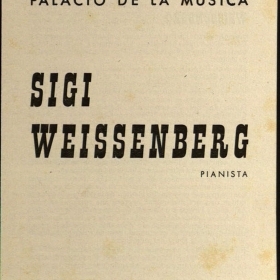 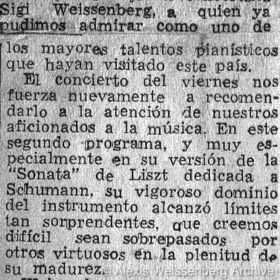 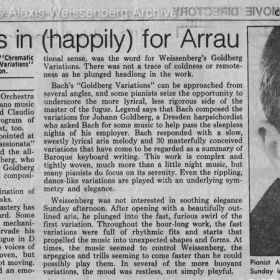 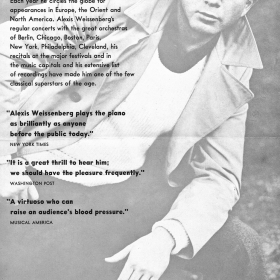 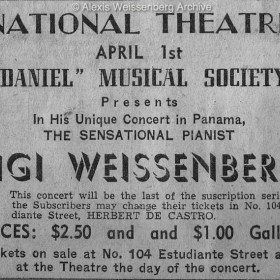 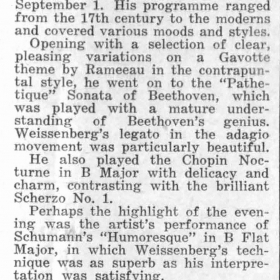 Throughout his career, Alexis Weissenberg has raised the most controversial reviews : a pianist of ice…a pianist of fire. 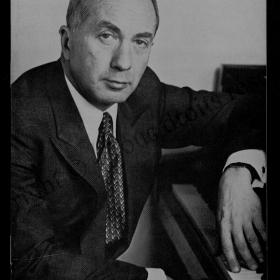 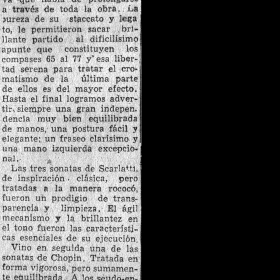 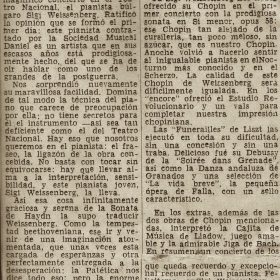 His pianism never left anyone indifferent! 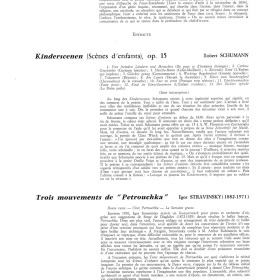 This section will be gradually increased.